B.Ed [hons], M.N.F.S.H., Reiki master, M.N.H.M., M.M.H. I am a Spiritual Counsellor, registered Healer [N.F.S.H], commissioned Fine Artist, also a nationally and internationally respected and recognised Psychic and Psychic Artist. I have given lectures in Art at a further Education College, and have been a teacher of Art and Mathematics at secondary school level until 2006. 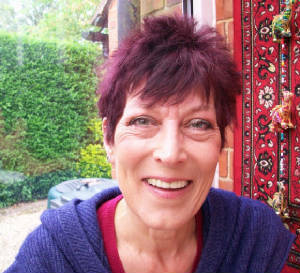 A natural psychic since birth and became a healer with the N.F.S.H in 1995, and a Reiki Master in 1997. Also successfully completing other supporting courses over the years. I fulfilled my dream to work in a beautiful, peaceful, magical, and sacred space as a Psychic and Healer by building the Star Light Healing Centre at my home in Newbury in 2000. Here, I offer Celestial Healing Therapy; Angel and Psychic Readings; Meditation classes; Angel and Psychic Art; and Psychic Development Courses. The practice is within easy reach of Newbury, Reading, Basingstoke, and Oxford. London, Bristol, and south to the coast is only about an hour. As a Spiritual and Personal Advisor, I am passionate about encouraging, and nurturing personal True Self discovery, Realisation, and Empowerment within all levels of your Being. I work intuitively working with your Energy, connecting with your Spirit, Guides, and Angels so that you are enabled to feel empowered with greater confidence and sense of well-being in all aspects of your life. I offer practical, 'down-to-earth', strategies and information that is easy to understand that will clarify any problems or challenges that you may be encountering in your day-to-day life experience. As I connect with your Spirit I can be given information concerning your Past Lives or be given information about the on-going nature of your Spiritual Journey, so that you are given a clearer picture of the 'Why' and the 'How' in your life experience. Information can also be received from your Angel, Guides, Mentors, Devic and Power Allies [such as Animals]. The Intention of this work is to enable, and encourage, you to stand in your own Power, and to feel physically, emotionally, mentally and Spiritually stronger, and, ultimately, with greater health in all aspects of your being. We create the life we experience! We all own the Power to re-design it into any description that we wish, any time we choose! Through a very relaxing experience you are offered the opportunity to see just how healthy and passionate life can be for you! You are given the means by which you can turn any aspect of your life into a totally positive, creative, and exciting adventure filled with the most incredible opportunities for personal expansion and success! My work as a Spiritual Counsellor and an Angel and Psychic Artist and Communicator has been Nationally and Internationally recognised and respected since 1996. I have given Readings for thousands of clients all over the UK and Ireland, and the world - from as far afield as New Zealand, Australia, U.S.A., Egypt, Canada, France, South Africa, Abu Dhabi, Singapore, France, and the Lebanon. Many of these clients have also commissioned Spiritual images of the Energies working with them at that time. I have also appeared as a Spiritual Counsellor, Healer, and Psychic Artist on Meridian Television. To be able to work in this way is a great Honour, very exciting and incredibly interesting. Remember, you are all fabulous, talented, brilliant, and amazingly Powerful Beings! So take this as a reminder that you are all these aspects and so very much more! Join my e-mailing list to receive free E-books answering your questions about what is happening with you, the world, and the great Shift in Energy that is happening at this time - the great Cleansing of all negativity! Sign up on the Contact Me page!